Necessary though it may be to reinvent Superman’s cinematic mythos for a new generation, Man of Steel contains no joy, even if it incorporates much-needed grit and gravitas into the comic book icon. Director Zack Snyder, the visualist behind SuckerPunch and Watchmen, is more interested in perpetuating visual mayhem than strong storytelling or building three-dimensional characters. Snyder relies on the audience’s inbuilt knowledge of Superman so he can focus his energies on expensive special FX and surface details, resulting in characters that feel underdeveloped and, therefore, make almost no impression. Produced by The Dark Knight Trilogy helmer Christopher Nolan and penned by Batman Begins scribe David S. Goyer, this latest attempt by Warner Bros. to rejuvenate Superman’s screen legacy arrives with few pleasures and several bothersome qualities, and never achieves the degree of pure delight or awe otherwise associated with or expected from the hero. 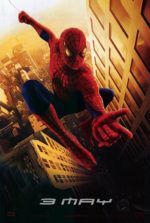 Much like Sony’s comparable reboot The Amazing Spider-Man, the film is watchable but without delights, though it will inevitably launch a profitable new franchise. 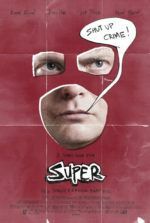 Now is a great time for superhero films, with filmmakers like Nolan and Joss Whedon deepening classic characters as they spearhead a movement toward grand motion picture filmmaking. And no hero is more instantly identifiable, more commonly associated with epic spectacles, and more pointedly all-American than Superman. And since Richard Donner’s 1978 version starring Christopher Reeve is still a gold standard for Superman on film, and Bryan Singer’s clumsy reboot Superman Returns failed miserably in 2006, the expectations for a new Superman film series “grandfathered” by Nolan couldn’t be higher. 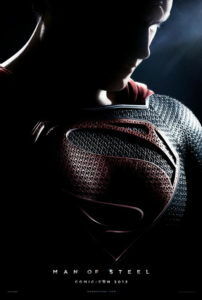 Following Nolan’s outstanding Batman films, Man of Steel moves away from the bright primary colors of the original comic created by writer Jerry Siegel and artist Joe Shuster and into deeper colors to reflect the film’s more pensive tone (just look at the new Superman’s getup: a burgundy red cape and an almost navy blue body suit). Played by chiseled British actor Henry Cavill, Superman and his alter ego Clark Kent are seemingly devoid of personality. Goyer’s script may have eliminated the silly standard where Lois Lane somehow never recognizes that her Daily Planet co-worker also happens to be Superman, but all forms of humor or energy have also been removed in the process of elevating the hero into a brooding figure. One, maybe two forgettable comic relief moments bring levity to this otherwise gloomy experience. Snyder and company start from scratch by retelling Superman’s origin story, again. 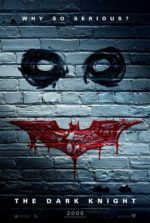 Superhero movies have grown far too dependent on origin stories, so much so that today’s audiences should never expect their favorite franchise to get beyond a successful trilogy with the same performers who launched it (take Sam Raimi’s Spider-Man or The Dark Knight films, for example). Nolan virtually pioneered the reinvention concept, and thus far he has yet to be outdone. As you might guess, Man of Steel opens on planet Krypton with a lengthy prologue, beginning with the birth of Kal-El, the first naturally conceived Kryptonian born in their Gattaca-like civilization in several hundred years. His father Jor-El (Russell Crowe), a top scientist, predicts the planet’s demise to the council of leaders who have expended all the planet’s resources and refuse to break tradition to save themselves. To violently force a change, the maniacal General Zod (Michael Shannon) attempts to overthrow the council and finds he and his minions damned to the “Phantom Zone”—a penalty that exists more as a name than a place we actually see; only our knowledge of comic lore and Donner’s Superman II explains what the Phantom Zone is. Meanwhile, Jor-El sends his son to safety on our distant blue ball and Zod vows revenge. Cut to Cavill’s bearded Clark Kent around age thirty, having drifted for years from place to place, unable to fit in anywhere and ever careful to hide his super-abilities. As he wanders, in flashback he remembers moments from his picturesque childhood in Smallville, Kansas, where his parents (Kevin Costner and Diane Lane) attempt to imbue their powerful alien son with an appreciation for the fear and frailty in humans and the vastness of his powers. His Earth-father suggests he should never reveal himself, as humanity remains unprepared. Young Clark also struggles with adapting to his developing powers; one scene in grammar school finds Clark coping with his X-ray vision and heightened senses, feeling frightened and alienated when he realizes he’s different from the other kids. Goyer’s script attempts to instill Clark with the humanity imparted to him by his father, but the film never packs the emotional wallop needed to truly bond us to the protagonist on an emotional level. Our reverence of Superman is superficial, based solely on how well Cavill wears the regal suit. And he wears it with dignity, to be sure. Unfortunately, he doesn’t do much beyond stand there looking almost ceremonial. Later, CGI takes care of his fast-paced battles. Amy Adams plays Lois Lane in a mildly plucky performance; it’s a superb piece of casting wasted on an under-written character. Lois slowly gathers eyewitness accounts of a mysterious superpowered man for her news piece, which postulates that an alien is hiding out somewhere on Earth. Just as her story breaks online, much to the chagrin of her wooden boss Perry White (Laurence Fishburne), an alien spacecraft appears in orbit around our planet with an ultimatum issued by its exposition-obsessed commander, General Zod: hand over the one known as Kal-El, or your planet will be demolished. It’s a ploy, however—the elitist Zod wants to eliminate the pure-blooded heathen in an act of intergalactic racism and, in the process, find the film’s mysterious McGuffin, the Codex, a crusty, inexplicable skull whose function is ambiguous to say the least. With Zod’s arrival, Superman better understands his origins, but he’s also faced with the reality that he’s neither wholly Kryptonian nor Earthling when Zod reveals his plans to colonize Earth through genocide. To stop him, our hero teams with the U.S. armed forces to create a wormhole—or something like that—while Lois joins in the fight, blasting aliens with a laser gun and acting more like a heroic FBI agent than an always-needs-to-be-rescued reporter. While the battles for Smallville, Metropolis, and humanity unfold in a shaky handheld style, the screen story allows for almost no development of the players involved. We know these characters—they’re ingrained in our pop-culture awareness—but the film doesn’t bother redefining them for the sake of our emotional involvement. Instead, everything’s assumed as the plot muddles through predictable and unnecessary situations. Surprising is the amount of time spent on dull Daily Planet intern Jenny (Rebecca Buller, playing a character meant to replace ginger-haired photographer Jimmy Olsen), who’s caught under rubble when Metropolis buildings collapse in Zod’s 9/11-reminiscent attack, whereas the romance between Lois and Clark garners almost zero screentime. It’s shocking that such a crucial element of the Superman story is left barely developed, making their eventual kiss strangely unmotivated. Never do we witness or believe that Lois and Clark have any romantic chemistry, which is necessary for these characters to feel more than one or two-dimensional. This can hardly be blamed on Cavill or Adams; it’s really Goyer’s script that fails to breathe life into the roles. Synder has never been much for in-depth characters, so it comes as no surprise that he seems to be asleep in the director’s chair during those dramatic, pesky non-action scenes. Conversely, he was evidently over-stimulated during the long, long action sequences where Superman engages Zod’s crew with blurred, lightning-fast motions, the scenes choppily edited by David Brenner and assembled with little shot-to-shot logic. Case in point: Late in the film, gravity drills threaten to change Earth’s atmosphere into a Krytonian one, which makes Superman ill (a point made clear by Zod’s own German-accented mad scientist). Weakened, he somehow defeats the drill’s random mechanical arms in a flurry of haphazard images. And then, a moment after the hero realizes he’s vulnerable, he’s suddenly able to overcome his mechanical opponent, despite his weakened state, without reason or explanation. Sequences such as this are memorable only for how little sense they make. The director would rather concentrate on the visceral nature of the battles, such as Superman and Zod when they devastate countless buildings in Metropolis as they duke it out (no doubt the body count was high as several buildings topple over during the fight, but there’s no mention of the imaginable death toll in the aftermath). Perhaps it’s best not to complain—at least Snyder has chosen not to repeat his speed-up-and-slow-down visual effect, established on his debut, the remake Dawn of the Dead, and cemented in 300. Through the action, Hans Zimmer’s music is a far cry from the 1978 John Williams score, relying much on electronic sounds over an authentic booming orchestra. As suggested with the remarks above about Cavill and Adams, the cast of Man of Steel is a well-chosen lot working from an ineffectual script. Actors like Fishburne and Crowe serve their purpose by simply standing there and looking their part, while Shannon lends his crazy eyes to give Zod an unhinged quality. Still, there’s not much more to the villain than his madness, whereas Shannon usually excels at bringing layers to his complex, often mentally deranged characters (see Take Shelter or My Son, My Son, What Have Ye Done?). Giving the best performances are Costner and Lane in their down-to-earth, homegrown humanism; everyone else seems overstated or too understated by comparison. But as mentioned, these are problems with the script and overall vision of the picture, and not necessarily the result of poor performances. Onscreen almost as much as the supporting actors are incessant and obvious product placements: IHOP, Nokia, and Sears make distracting appearances—but then so does a LexCorp tanker, suggesting Superman’s unseen arch-nemesis Lex Luthor may have a role in an inevitable future sequel.